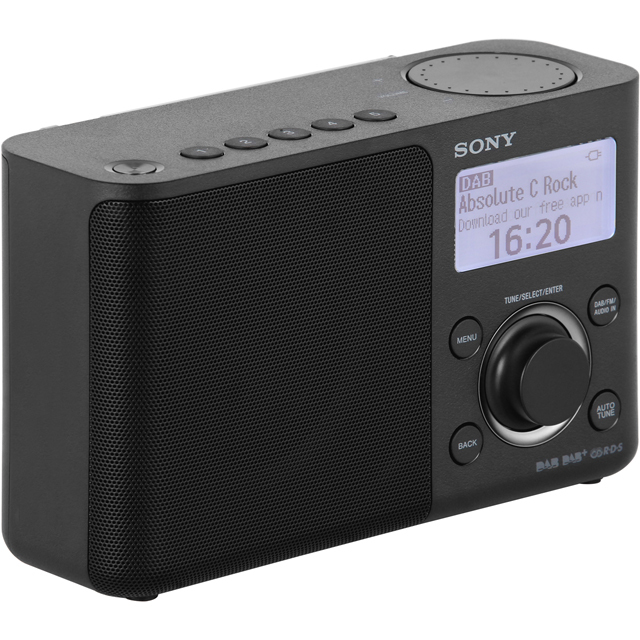 Get plenty of entertainment with this black digital radio from Sony. You’ll have no trouble finding something to listen to, as the DAB/DAB+ and FM tuners offer loads of stations to choose from, with space for saving 5 pre-sets in each mode once you’ve found your favourites. It’s super-easy to set up too, just plug into the mains or install 4 AA batteries and you’re ready to go. You’ll be able to see what station you’re listening to on the LCD display, and thanks to wake-up and sleep timers, you can schedule your radio to switch on and off when you like. super!Its a radio.It works.You turn it on.You turn it off.Thats about it really. * XDRS61DB.CEK was at the higher price between 06/02/2019 and 11/04/2019.